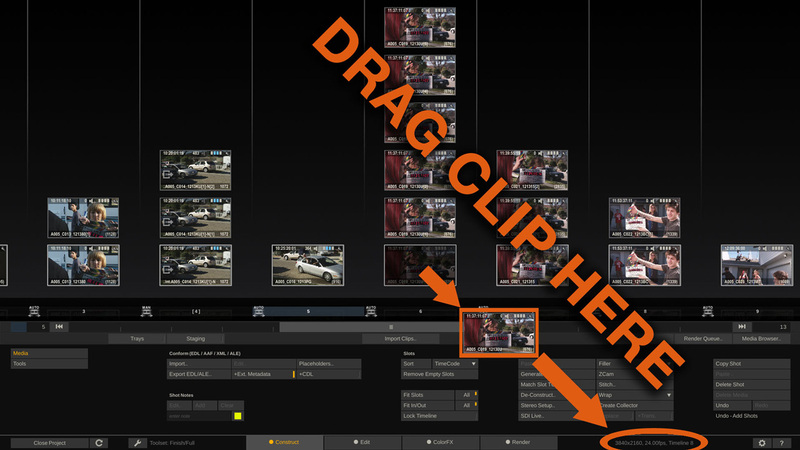 Therefore, just pick any clip and drag it onto the timeline info area at the very bottom. Once dropped, the timeline/main output node will adapt all the clip’s properties in terms of resolution, aspect and frame rate! Much faster than changing each and every parameter manually 😉 .